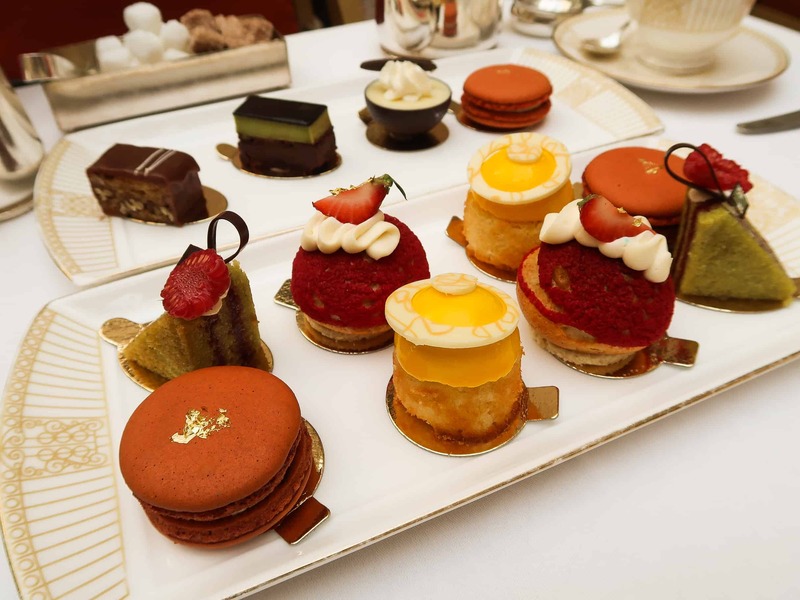 As much as I love breakfast, brunch, lunch, elevenses, and dinner, nothing can beat a good spot of traditional Afternoon Tea. 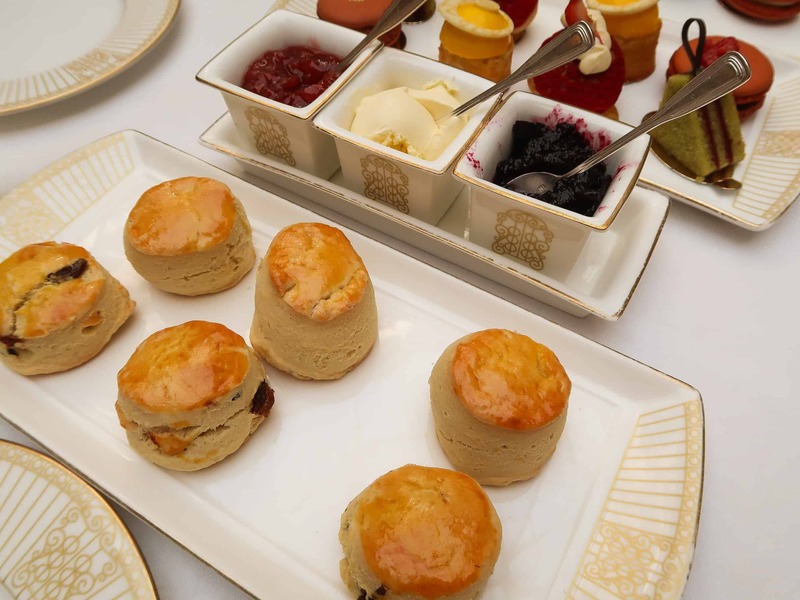 Piling warm scones up high with thick clotted cream and eating numerous finger sandwiches in one seating; what is there not to love. Plus, it is the easiest gift for anyone special in your life! So when BW’s cousin came to town, and couldn’t go anywhere due to a sprained ankle, I took her and MIL for halal Afternoon Tea at The Landmark Hotel. 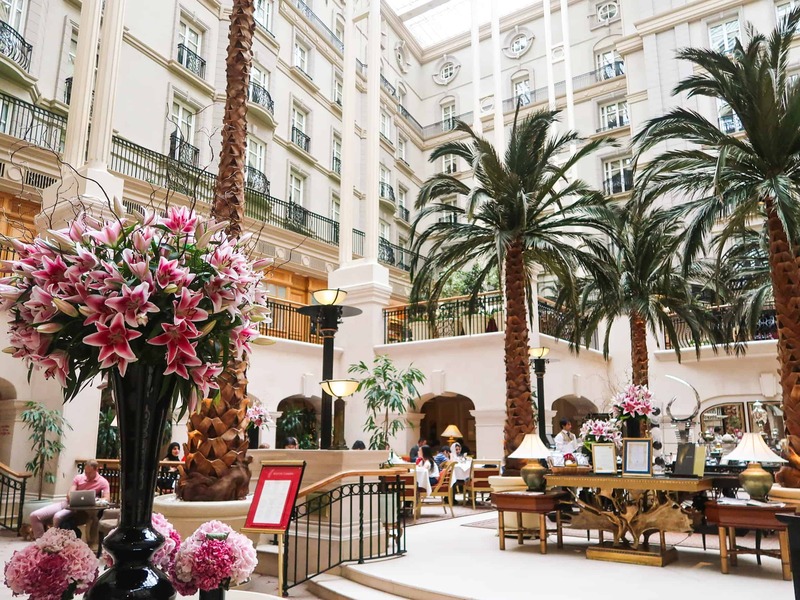 With palm trees and infinitely high ceilings, The Landmark is one of the prettiest hotels in London. 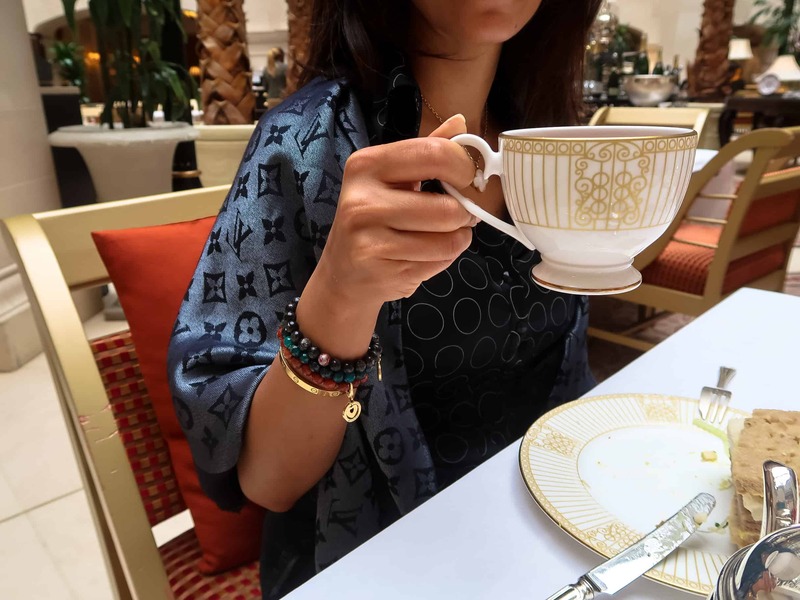 Their Winter Garden is ideal for a quaint and quick coffee or hot chocolate, which is what BW and I usually com here for, but it’s never dawned upon me to have Afternoon Tea at The Landmark Hotel until a few days ago! 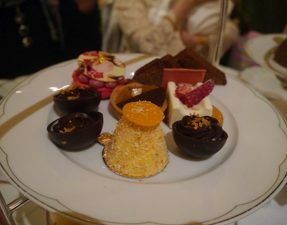 I opted for the Chocolate Afternoon Tea [£48.00], whilst the others went for the Winter Garden Afternoon Tea [£45.00]. There is a current 25% offer running through August right now – scroll to the bottom to find out more! 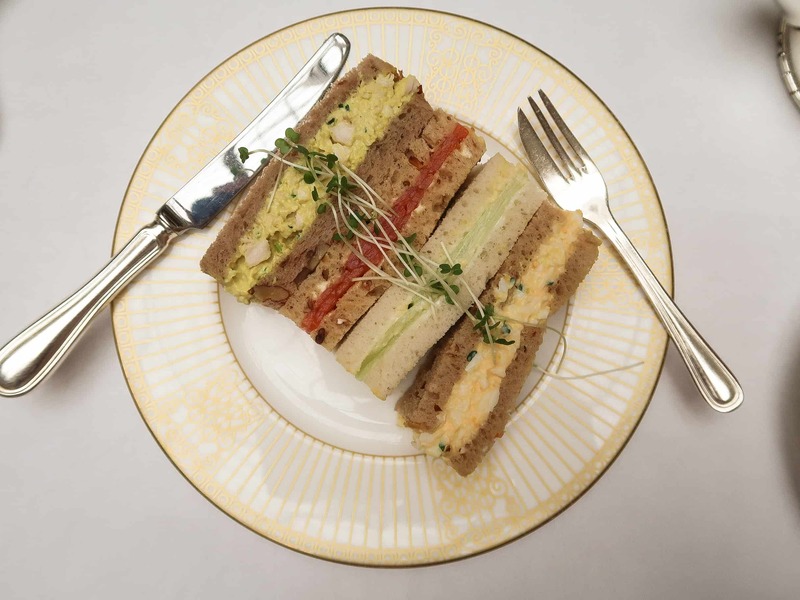 The Landmark offer four different types of sandwiches: coronation chicken, smoked salmon, cucumber and cream cheese, and egg mayonnaise. All four tasted great, with the chicken and smoked salmon being my favourite, and the bread was of good quality too. Don’t worry guys, The Landmark offer unlimited sandwiches in case you’re hungry for more, and after round three, I had to admit defeat! We were given both plain, and chocolate and orange peel scones, along with strawberry and blackcurrent jams, and clotted cream. I would have liked the scones to be served warm, but asides from that, they were deliciously buttery and crumbly. Cream then jam? or Jam then cream? Of course, its cream first and then jam, but thats a debate for another day! Although I’m more of a sandwich person, I do enjoy the cute little cakes you receive with high tea. 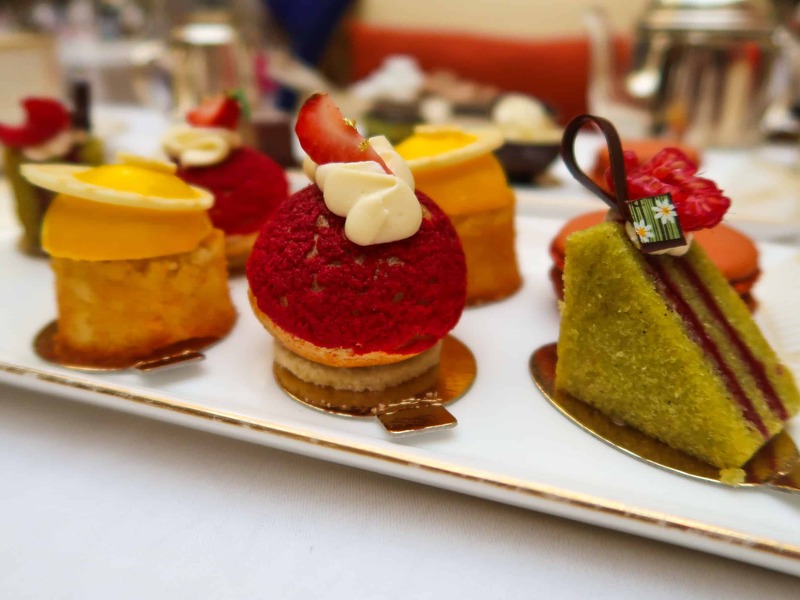 For the traditional tea, The Landmark offer a strawberry choux, coconut and chocolate macaroon, a pistachio and raspberry bakewell, and a lemon sponge with lemon mousse. 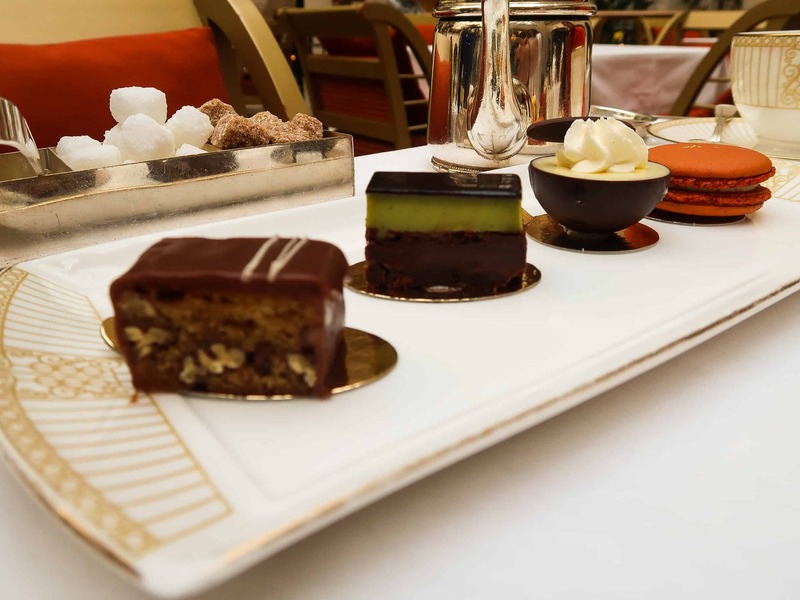 The desserts from the chocolate tea consisted of pistachio and chocolate gateau, coconut and chocolate macaroon, banana and chocolate cake, and a blood orange with white chocolate mousse. I did find the chocolate desserts to be overtly sweet, and much preferred the traditional offerings, especially the delightfully light and creamy strawberry choux bun. 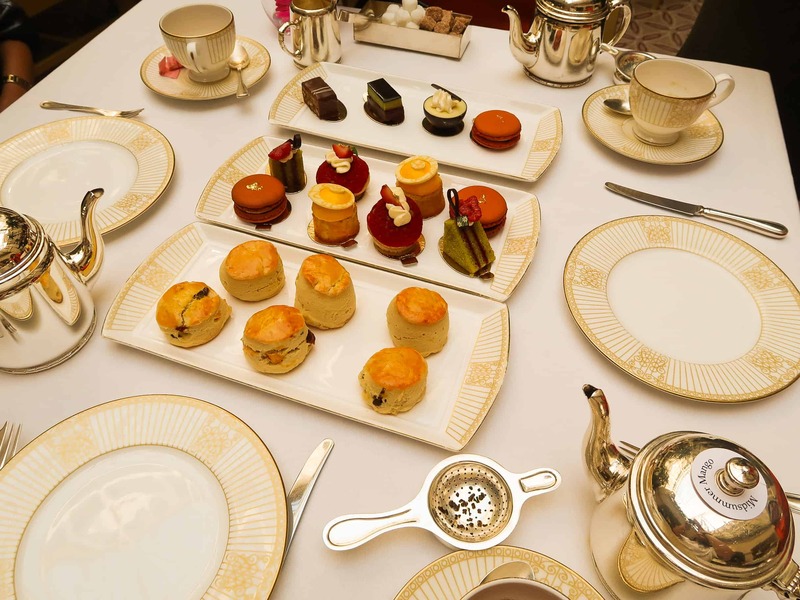 The total bill for three amounted to £115, so £38 each, including drinks, service, and a 25% discount for National Afternoon Tea week. Sure, at £45 (£33.75 with discount for traditional tea) and £48 (for chocolate tea), it does seem a little pricey, but this is ideal for a special occasion such as Mum’s birthday, a quaint hen-do, and even a classy baby shower. 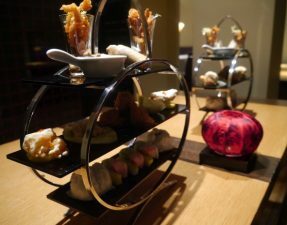 Not only is the afternoon tea at The Landmark hotel fantastic, but the service and surroundings are outstanding, and worth the visit. The Landmark do offer halal options outside of the Afternoon Tea menu, namely the chicken, but you can also order the beef and lamb 24 hours in advance. 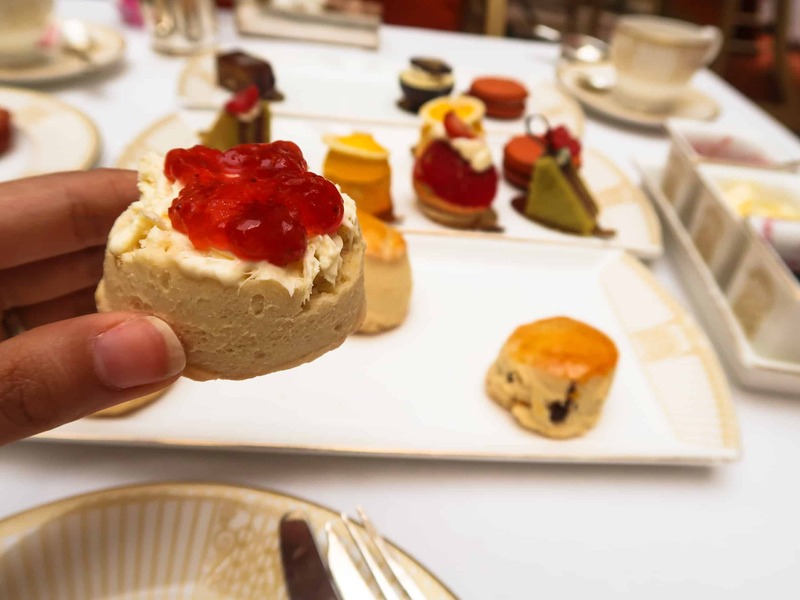 You can also read about my Afternoon Tea at The Dorchester over here! – Halal status on chicken verified by hotel. Fish gelatine and no alcohol used in desserts, but must be specified when ordering. – This is a child friendly establishment. 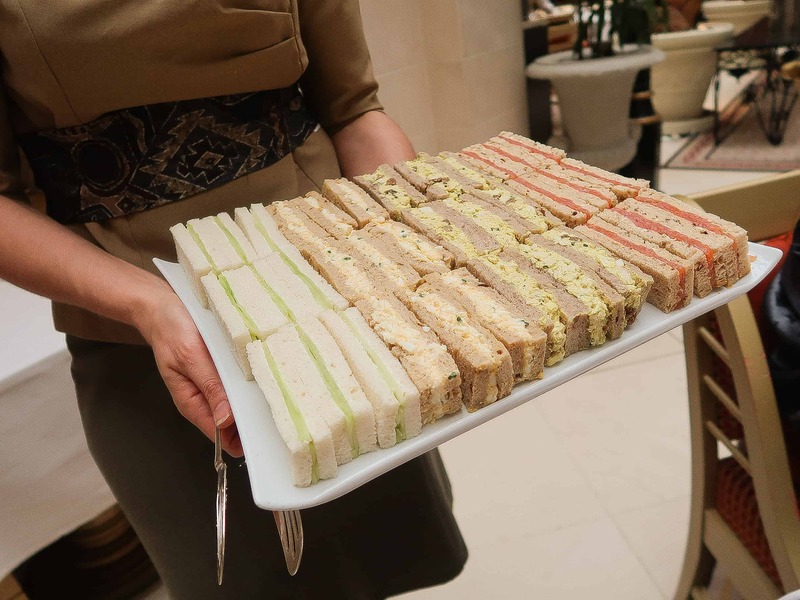 Kids can even opt for cheese sandwiches!